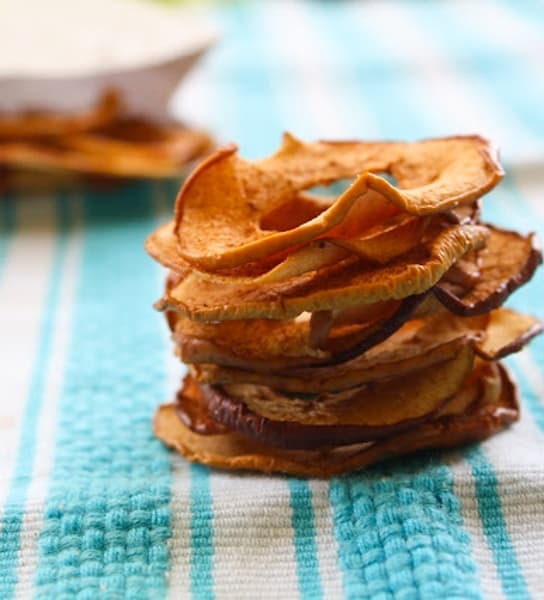 This Vegan Cinnamon Baked Pears are a real healthy fall treat! 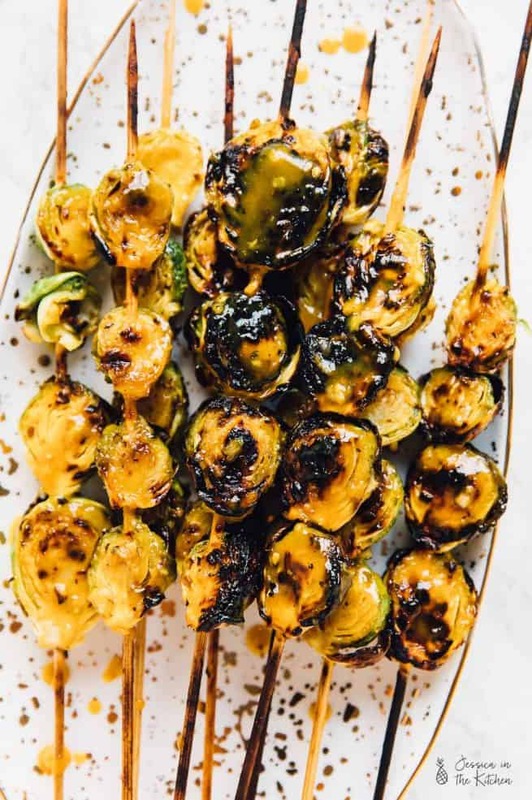 Just three ingredients, so soft they taste caramelised and so easy to make! Said I, after realising that maybe 20 pears for one person may have been too much. Well, I’ve made caramelised apples, and I’ve made apple chips, and I’ve made caramelised pears. So maybe I should bake them this time, so that they seem caramelised! Yes! 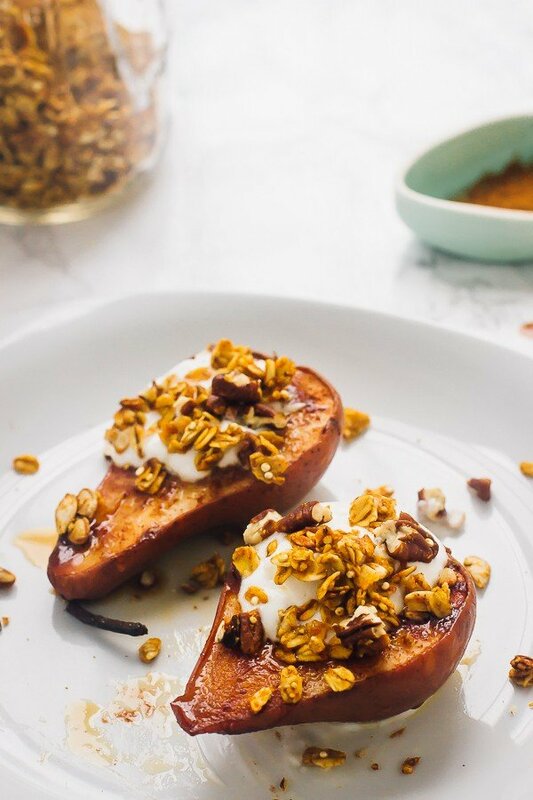 3 ingredients and 30 minutes later, I was diving into these beautifully caramelised, creamy and delicious cinnamon baked pears. I’m pretty sure I’ve said this before: I’m a fruit girl. Every time I think that I think of that scene in Forrest Gump where Bubba is talking about all the ways to make shrimp because it’s the fruit of the sea, and I’m thinking “YOU CAN DO ALL THESE THINGS TO FRUIT! !” (ok, with many exceptions). Duh, Jess, he just said that. Anyway, for this reason among others, I love how diverse fruit can be. Which leads to why I love these Cinnamon Baked Pears. 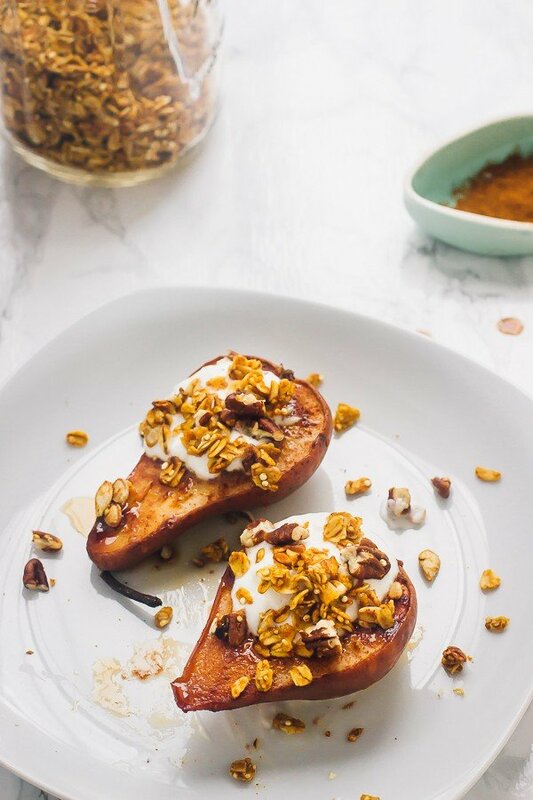 You could do anything to pears and they would still taste absolutely amazing, but making Cinnamon Baked Pears is probably the tastiest way of them all. Pears are already incredibly soft, and so baking them in cinnamon and maple syrup produce this dreamy, even softer, caramelised version of them. I ate these with a dab of coconut cream and pumpkin spice granola on top, but you could put ice cream, yogurt, nuts, or anything really and they would still taste incredible. I love how easy these were to make: cut, core, sprinkle with cinnamon, drizzle with maple, then bake. 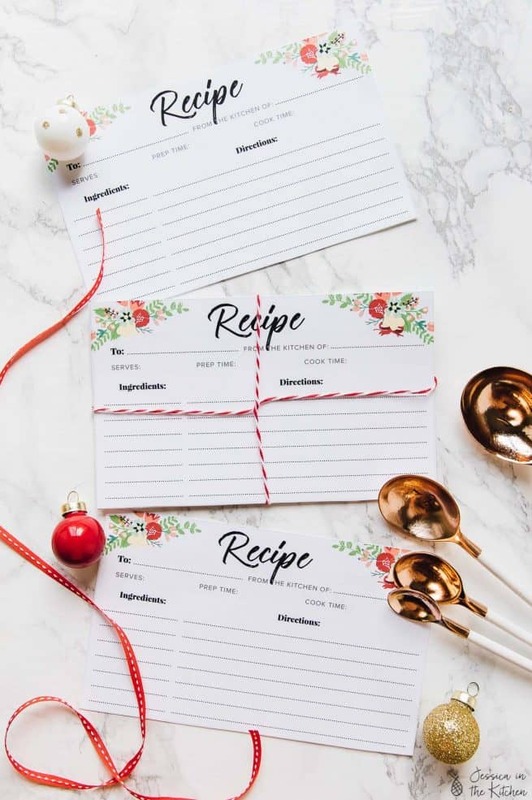 That’s it, and the results mean that you could whip up a quick dessert for unexpected friends or let’s be more realistic: for yourself. You don’t even have to feel guilty enjoying this since they’re pretty healthy. 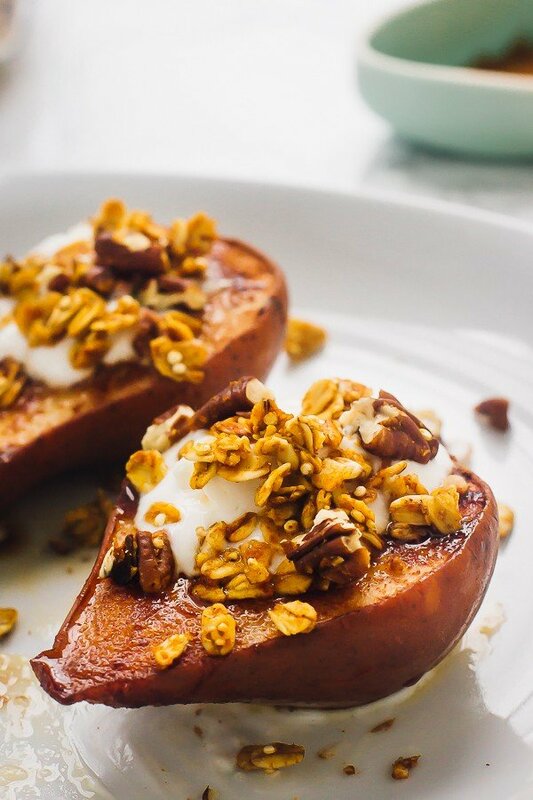 If you try these Cinnamon Baked Pears please let me know in the comment section below, or tag me on instagram with the hashtag #jessicainthekitchen! For more exclusive recipes follow me on Instagram AND on Snapchat: jessinkitchen. 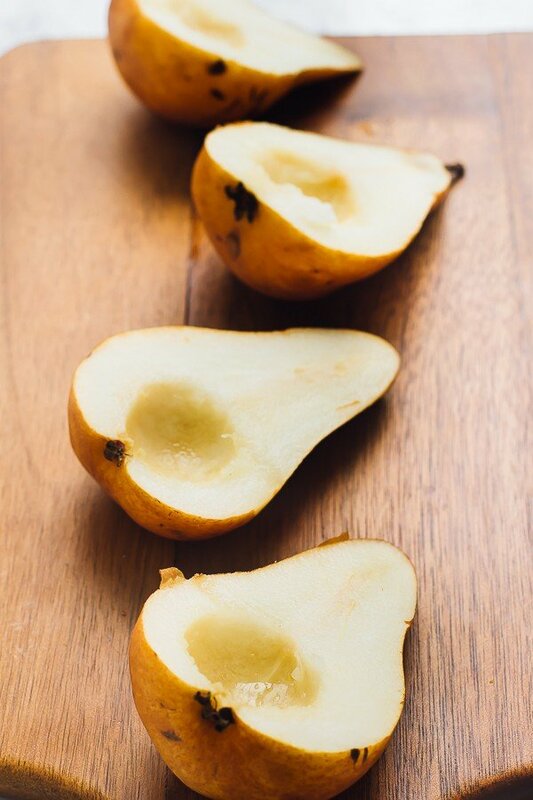 Place cored pears on a baking sheet. If they aren't even, cut off a bit of the bottom of the pear so that it stands up straight. Sprinkle evenly with cinnamon, and then with maple syrup. Place in oven for 20 to 25 minutes to bake. Remove and allow to cool slightly. Top with your favourite toppings and enjoy! 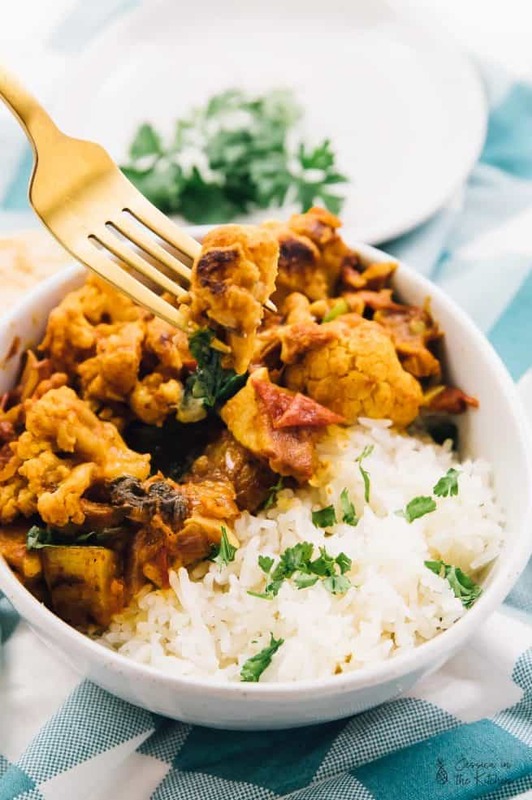 This recipe is vegan and gluten free. HOW TO STORE You can store these pears in an air-tight tupperware container and reheat in the oven later, but they taste their best when just baked. Gosh..those baked pears look so gorgeous! It’s not difficult to make and looks ever so delicious! I have roasted pear on my list for the next few weeks. I love the topping here with granola. These look delicious! I love the Forrest Gump reference. Mmmm love baked pears! I feel like pears get neglected a lot during fall because of apples are more popular! but I think pears are way better! Love the glorious toppings on them!